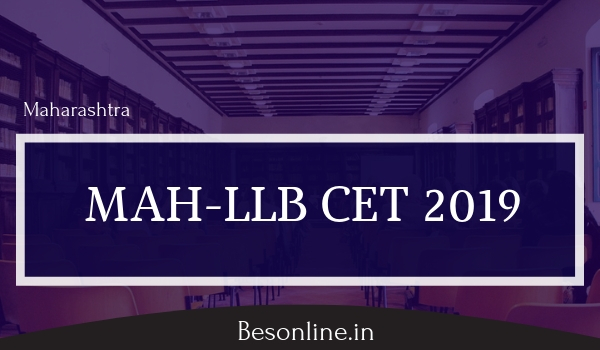 Maharashtra MAH-LLB 5 Years CET 2019 – Notification Released! Government of Maharashtra, State Common Entrance Test Cell (CET CELL), the Competent Authority shall conduct the MAH-LL.B.- 5 Yrs. Course CET 2019 for the admission to the First Year of the Five-Year Full Time Professional Integrated Under Graduate Degree Course in Law, for the Academic Year 2019-20. DTE Maharashtra will release the notification of MHT-LLB 5-Yrs. Course CET 2019 for all candidates who are interested to participate in the admission process. MHT-LLB 5-Yrs. Course CET 2019 eligibility criteria lists out all of the conditions and requirements that the candidates are required to satisfy. All Un-aided colleges (including Minority Institutions) offering LL.B. 5 Yrs. Integrated Course, covered as per the Act. Further provided that, applicants who have obtained 10th Std./Secondary Schooling Certificate Exam, in a Single Sitting Exam without having basic qualification (1st to 9th Standard of Schooling) is not Eligible. Further provided that, the candidates who are appearing/appeared for the qualifying exam(regular examination of that academic year) are also eligible to apply for the Entrance Exam. Such candidate will be eligible for admission only if they produce the provisional/Degree certificate of the qualifying examination and the mark lists of all parts of qualifying exam at the time of admission. Also Read Indian Institute of Packaging (IIP) Mumbai PGDP 2019 Notification Out! Those candidates who have passed 10th & 12th Standard Examinations in Regular Mode/ Distance Mode/ Open Schooling/Open Mode/ by filling Form No.17/ completed SSC/HSC from The National Institute of Open Schooling (NIOS) formerly known as National Open School (NOS) are eligible for LLB-5 CET 2019 Examination, provided their education pattern should be (10+2) i.e. 10th +12th Passed. The qualifications of 10th, 12th (+2) may be obtained through any mode (distance/Correspondence/Open Schooling method). Such candidates are eligible for LLB-5 CET-2019 Exam if they fulfil the condition in A) above. Maharashtra State candidature Type-B: The Father or Mother of the Candidate is domiciled in the State of Maharashtra (Either father or Mother of the candidate should have a domicile certificate from the state of Maharashtra if candidate is not born in Maharashtra/ Candidate does not possess domicile certificate from the state of Maharashtra). Maharashtra State candidature Type-C: The Father or Mother of the Candidate is an employee of the Govt. of India or Government of India Undertaking who is posted and reported to duty in the Maharashtra State before the last date for submitting the Application Form for CAP, Provided candidate should have completed his/her SSC & HSC from the state of Maharashtra. Maharashtra State candidature Type-D: The Father or Mother of the Candidate is an employee of the Govt. of Maharashtra or Govt. of Maharashtra Undertaking (Provided Candidate should have completed his/her SSC & HSC or Equivalent qualifying exam from the State of Maharashtra). The children of officers belonging to Indian Administrative Services (IAS) or Indian Police Services (IPS) or Indian Foreign Services (IFS) and children of staff belonging to military and paramilitary forces transferred to Jammu and Kashmir to combat terrorist activities and joined the post on or before the last date for submission of application. All applying candidates should take a note of this. Candidates will have to apply separately on line for Supernumerary seats in the CAP process and submit the copy of the application form with self -attested documents to the Nodal Officer, Director, Higher Education, M.S. Pune as per the Schedule declared on the CAP web site. MAH-LL.B. 5 YEAR CET2019 shall be conducted only in the Online Mode in Multiple Sessions, if required in selected centers in the State of Maharashtra and selected Centers from Other States MAH-LL.B. 5 YEAR CET-2019 will be conducted on Sunday, the 21st April 2019. Candidates shall have to appear for the Online CET strictly as per the date and Session allotted to them at the allotted Venue and Center. No candidate will be allowed to appear for the Test in other than the allotted Session. No request for Centre, Venue and Session change will be entertained. Application Form Processing Fees as stated below is to be paid through on-line system only by Internet Payment, Credit Card/ Debit Card (RuPay/Visa/MasterCard/Maestro),Internet Banking IMPS, Cash Cards/ Mobile Wallets for which the service charges, as per rules, shall be applicable in addition to the application form Processing Fees. Candidate should download the Information Brochure and read it carefully.Check for Eligibility Criteria mentioned in the Information Brochure.Scan their Photograph and Signature ensuring that both the Photograph and Signature adhere to the required specifications as given under Guideline for photograph & signature Scan and Upload. Arrange for Application Fees (Non- refundable), Bank Transaction charges for Online Payment of application fees/intimation charges will have to be borne by the Applicant/Candidate. To register application, choose the tab “Click here for New Registration” and enter Name, Contact details and E-mail ID. A Provisional Registration Number and Password will be generated by the system and displayed on the screen. Applicant should note down the Provisional Registration Number and Password in their Note book and preserve it. An Email and SMS indicating the Provisional Registration Number and Password will also be sent on the Mobile Number given by the candidate. The payment can be made by using Debit Cards (RuPay/Visa/MasterCard/Maestro). Credit Cards, Internet Banking, IMPS, Cash Cards/ Mobile Wallet. ← XAT Result Released – Download XAT Score Card now!